Here’s an early heads up that next weekend Harris Teeter will run super doubles from 4/8-4/10. This will be the normal Sunday to Tuesday event (though maybe you should all pray for snow so they extend it like last time). 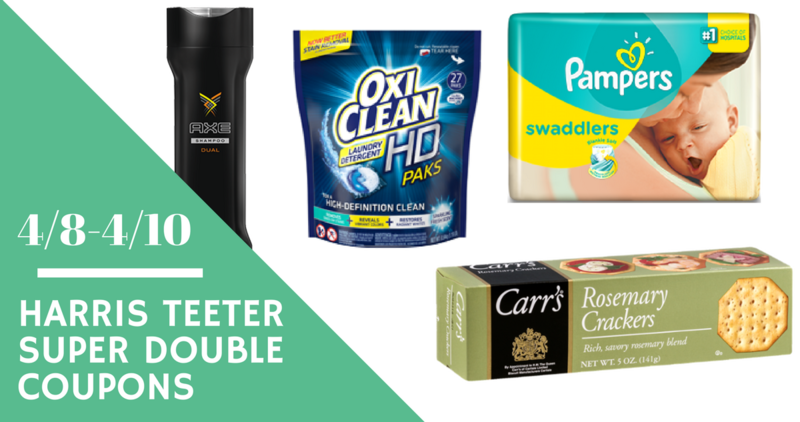 Super Doubles means any coupons $2 or less will double in value! I’m already working on the first list of deals and should have it up early next week, but you should go ahead and print some coupons now. Since this weekend is the end of the month, many of these will go away before the sale even starts! If you print them now though you have them for next week… It’s all part of playing the game.